Mikengreg Games Co. | Handmade Games Crafted with Love & High-Fives. Or get it on your mobile device. 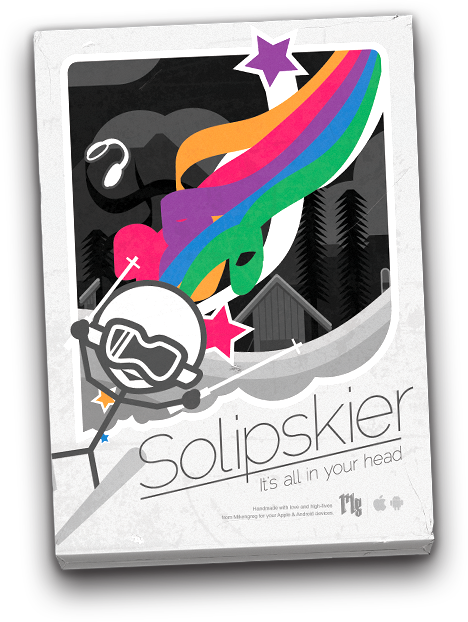 We just released Solipskier into the wild. You can play it here now at Mikengreg.com or get it for your iPhone/iPod or Android mobile device. Hey are you new here? We're Mikengreg. We make handmade games crafted with love and high-fives. If that sounds like something you're into, then check out our "about" section to learn more and get involved. Just click those ugly mugs of ours there and you can see for yourself. We also tend to a blog that we occasionally update with development specifics, sneak peeks and other such nerdy stuff. We might even post progress on a beer we're making or a recipe we like. Who knows what'll crop up, but we'll try not to waste your time. Gasketball is a shot matching basketball game on iOS that's coming out soon. Watch our teaser for more info or check out our blog for more frequent developer updates. 4Fourths is a game we love but haven't found a way to make just yet. Watch the trailer and tell someone why we should spend years to make it what we think it can be!